Immaculate & Impressive! 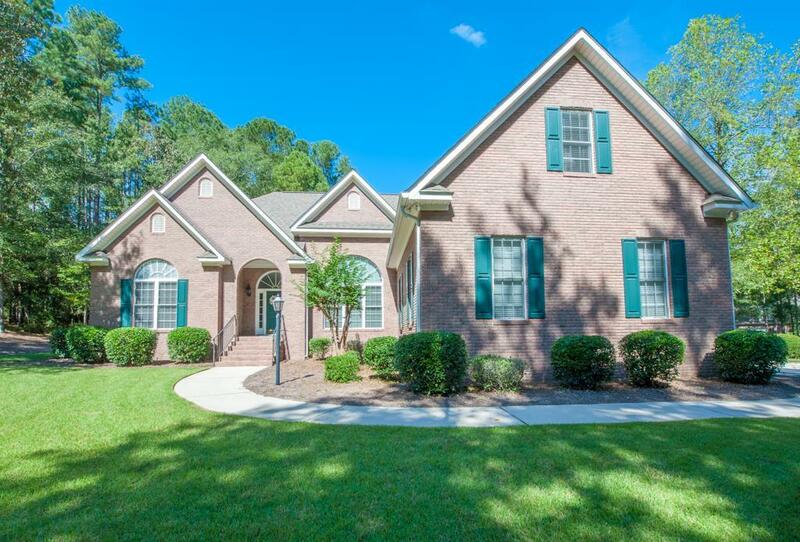 All brick 4 bedroom 3.5 bath home nestled on peaceful corner lot! Huge arched windows allow lots of natural light! Gorgeous archways surround the dining room! Office with french doors! Large open living room with gas fireplace! Kitchen with breakfast bar, solid surface counters, pantry, glass front cabinet doors, built in microwave plus refrigerator stays! Breakfast room opens to living room! Owners suite features sitting area with amazing natural light, large bathroom with tile, water closet, jetted tub, separate shower, double sink vanity & 2 walk in closets! Split bedroom plan with 2 spacious guest bedrooms on main floor, 1 with pocket doors to the guest bath! 4th bedroom upstairs w/full bath! Laundry room w/cabinets & sink! Beautiful hardwood floors, high ceilings, upgraded crown molding, ceramic tile in baths & laundry! Deck with gas connection ready for your grill! Endless unfinished storage area above the oversized 2 car side entry garage with workbench!